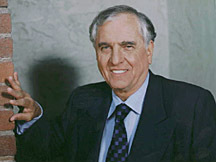 Garry Marshall is "Steve Mayland", the patronizing producer who belittles Alex in a pitch meeting until he cracks and stabs him in the hand with a pen. 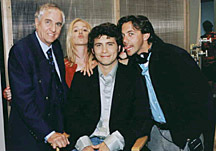 Marshall has appeared in both television and film, most recently with a recurring role pn "Murphy Brown", but is best known as a producer, writer and director. He is responsible for such shows as "Happy Days", "Leverne and Shirley" and "Mork and Mindy". His directing credits include Beaches, Pretty Woman, The Other Sister, and Runaway Bride.